Who else submitted a game using HaxeFlixel ? Hello, nice to see other HaxeFlixel LD games! @aeveis No HTML5 export ? Tried to make a solo and online game. I made a game for Ludum Dare 40 with HaxeFlixel! Would love to get some feedback. Cool to see these all in one place. When I get to my PC later I'll be sure to check these out! @jimmy-delas Phew, ported it, if you want to check it out in html5. I'd been wary of it since I heard there were some things that were wonky with it, but was able to work around those. (Converting sounds to ogg, using FlxBitmapText instead of FlxText, and FlxSprite workaround for camera fade.) It also seems to be running fine. Thanks for prompting me, ha. 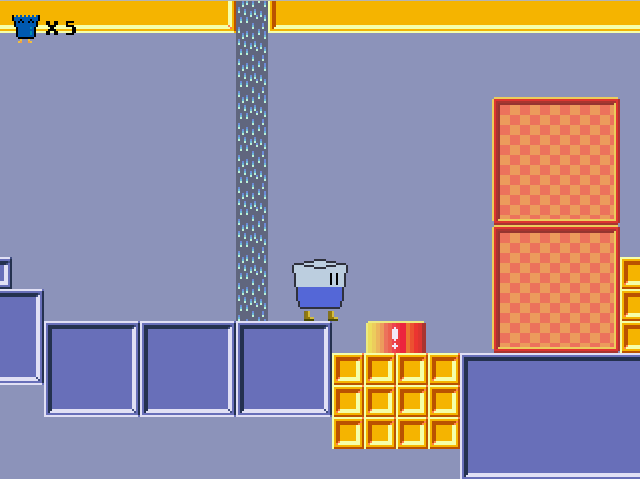 It is a small and focused 2D platformer involving water. Hope you like it! I also made a LudumDare game using HaxeFlixel!